Triax Technologies, Inc and Major League Lacrosse announced a partnership to outfit players for the 2015 season with the Triax Technologies Smart Impact Monitors (SIM) to track and assess head impacts during select practices and games. 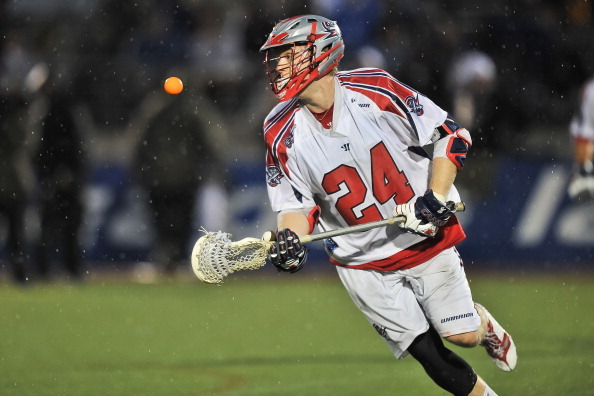 Use of the Triax SIM makes MLL the first professional sports league in the United States to provide their athletes and trainers with this head impact monitoring technology. The New York Lizards will premier the Triax SIM on April 12, opening day of the MLL season. Triax SIM devices are worn in comfortable, unobtrusive headbands or skullcaps to record head impacts, and transmit data in real time from the field to a smart phone or tablet on the sideline. The technology allows trainers to track up to 180 individual head impacts measuring the G-force of direct hits and jarring through linear and rotational measures. The data collected from the MLL players will be utilized in collaboration with the concussion research of the non-profit Sports Legacy Institute (SLI) to increase understanding about prevention, detection, and management of concussive and sub-concussive hits, and for SLI’s Hit Count initiative. In addition, the data from these players will also be used to guide training technique and player assessment to help reduce risks associated with head injury. Studies have shown that most players do not report concussive symptoms experienced during competitions, let alone sub-concussive hits. However, researchers agree that repetitive sub-concussive hits can be as dangerous as concussive hits and should be taken seriously. Recognizing these impacts is critical for immediate evaluation of players. The first device of its kind to be Hit Count certified in all sports categories as defined by the Sports Legacy Institute, Triax SIM devices are currently being used or evaluated for use with 18 institutions and universities around the country as part of various research projects. These studies will help to better understand sports related concussions and the impact of sub-concussive hits.